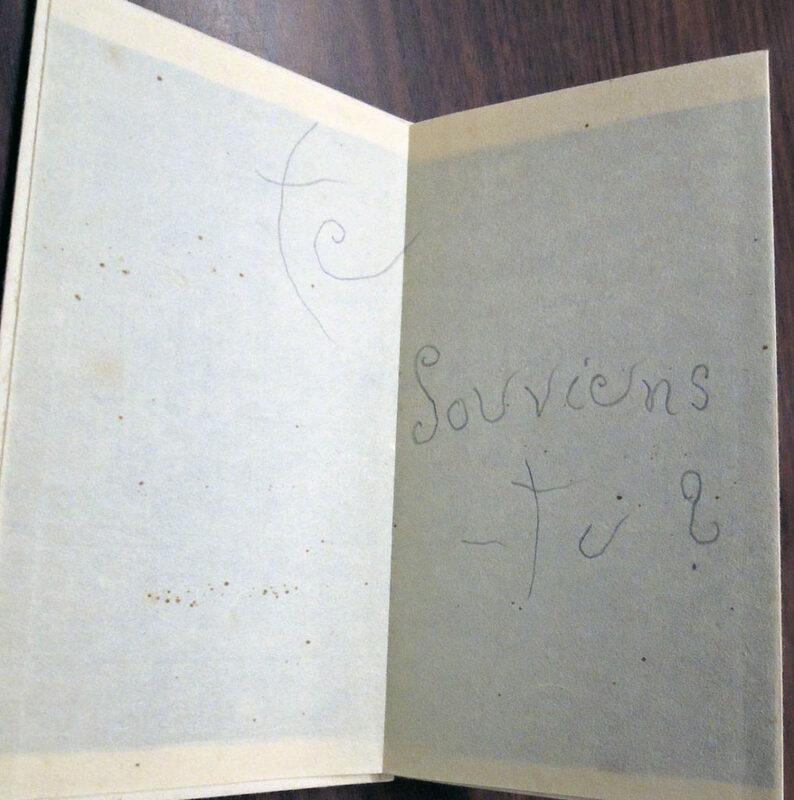 The Swiss artist Warja Lavater was in her 70s when she partnered with the Galerie da Costa in Amsterdam to publish two leporellos, beginning with Te souviens-tu? and a year later Roman (Novel). The first is a rare project in which Lavater departs from her use of “visual codes” to re-interpret well-known narratives and uses instead visual text to interpret a song. 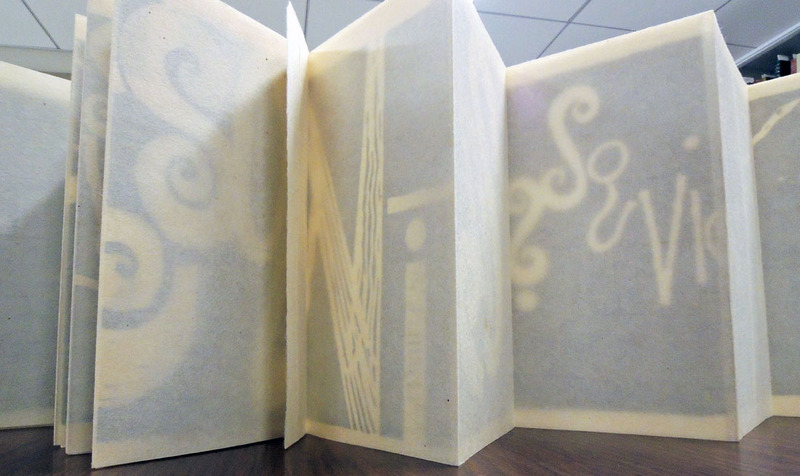 The title references (among other things) to the nineteenth-century popular song “Do you remember?” and the printed words can only be read through the veiled verso of the folded sheets; just as our memories often seem hidden behind a veil. 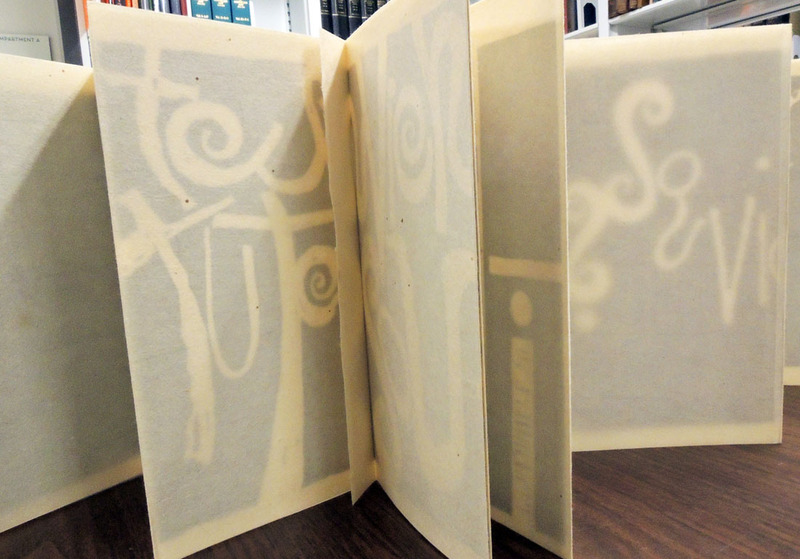 Each copy of the book was mounted between one of the linoleum blocks used to print the text. 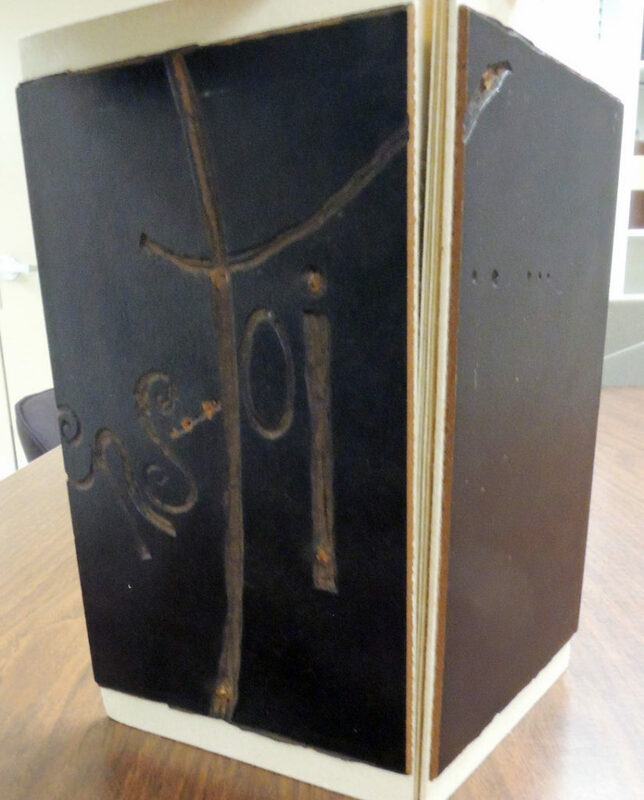 The Graphic Arts Collection is fortunate to acquire this rare book, only the second in an American public collection. 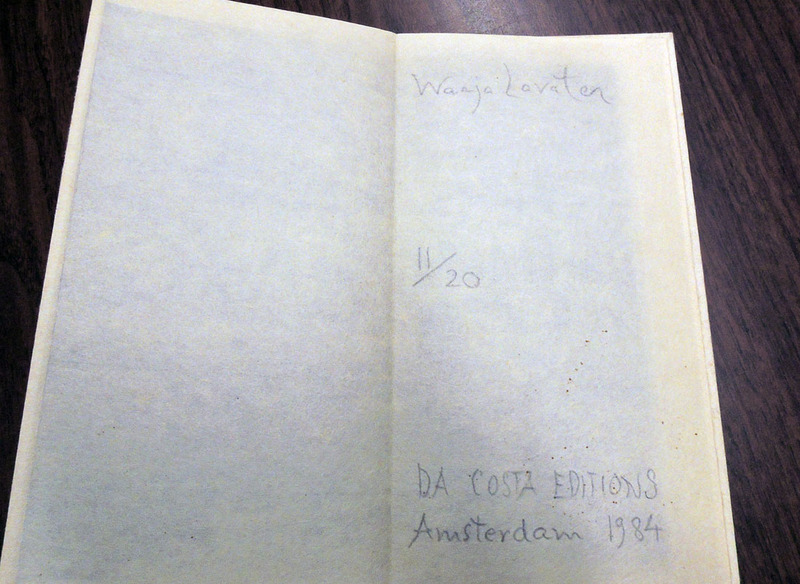 We have one other book published by Da Costa, titled Identikit 32 by Manuel S. Menán (1946-1994). This entry was posted in Acquisitions, Artists' books on November 2, 2017 by Julie Mellby.